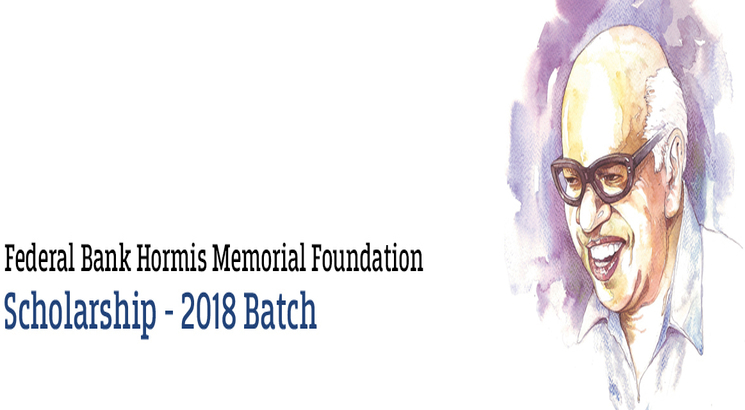 NEW DELHI, FEBRUARY 11: As many as 100 students pursuing medical, engineering, agricultural and management degrees have been awarded the Hormis Memorial Scholarship under the Corporate Social Responsibility (CSR) activities of the Federal Bank. Federal Bank is a leading private sector bank making meaningful interventions in social issues. The bank has been funding and managing various projects aimed at environmental sustainability, poverty alleviation, education and skill development, the benefit for armed force veterans, promotion of sports, development of rural and slum areas. It invited applications from meritorious students pursuing MBBS, Engineering, BSc Nursing, and BSc Agriculture including BSc (Hons) Cooperation & Banking with Agriculture Sciences conducted by Agriculture Universities and MBA from the states of Kerala, Tamilnadu, Maharashtra and Gujarat for Federal Bank Hormis Memorial Foundation Scholarships for the academic year 2018-19. The list of students selected for the scholarship is published on the bank’s official website at www.federalbank.co.in/el/corporate-social-responsibility. 2 students selected from Physically Challenged category.